Well Bunbury's finest and brightest were out on the night of the 5th of March... The sweet little things decided to smash the screen and lever parts of the front panel off. The cables appear to be fine, but the Fast AC plug has suffered. The ChadeMo plug is OK by the looks of it. It can be repaired, but it might be quicker to drop a new charger in place while the old one is repaired. Thanks to Christina for reporting it, and to Matt (MDK) for heading down this morning to check it out. Hopefully we can have it repaired soon. They should put the barricade around the EV parking spot so it can't be ICEd. Can't let them win if it's anti-EV sentiment. I've called it through to local ABC but not seen anything online. May be reported on radio only. Protection I think best by video recording. Who knows why they did it. It is near bus port and may simply be a haves and have-nots thinking combined with the fear of the unknown. Does the Rivers store have video surveillance and was an error recorded about the time of the remodelling attempt? 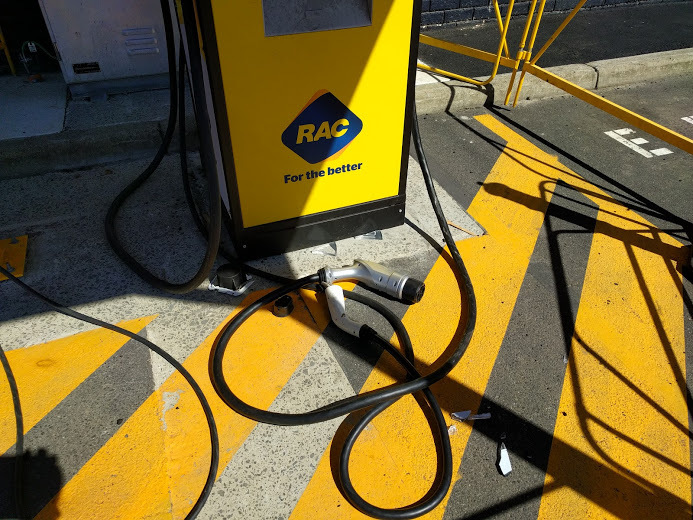 Was the ChaDemo plug used to smash the screen ? Should the charge station be designed so that the plugs are locked in place until card swipe is done ? Beautiful people share our planet. I just got back from Bunbury.. It's a heartbreaking scene. photomac wrote: Does the Rivers store have video surveillance and was an error recorded about the time of the remodelling attempt? There's a security camera only a handful of parking bays away. 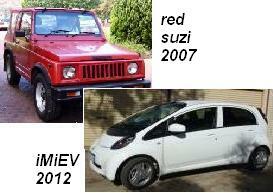 acmotor wrote: Was the ChaDemo plug used to smash the screen ? Yes, it appears they tried with the Mennekes plug first, and broke the plug - then finished the job with the CHAdeMO. acmotor wrote: Should the charge station be designed so that the plugs are locked in place until card swipe is done ? I don't think that would have stopped these "beautiful people" - they seemed intent to do damage, and really wanted the RFID reader for some reason... it's the only thing missing, everything else was on the ground in front of the charger. Get I camera on it. It's the only way to make people accountable. Without the camera evidence there isn't much you can do. It might help identify how the plugs are getting broken to. I put cameras on everything and it's supersizing how often they have been used and payed for them selves busting idiots. Minimum 720p so you can identify faces and a two way mic - speaker is handy to scare the crap out of people in the act or who are just about to do something. Huh. Surely they don't think they can read credit cards with it or something? Is there something of value (to "beautiful people") that can be had with spoofed RFID cards? Just trying to find a motive here. 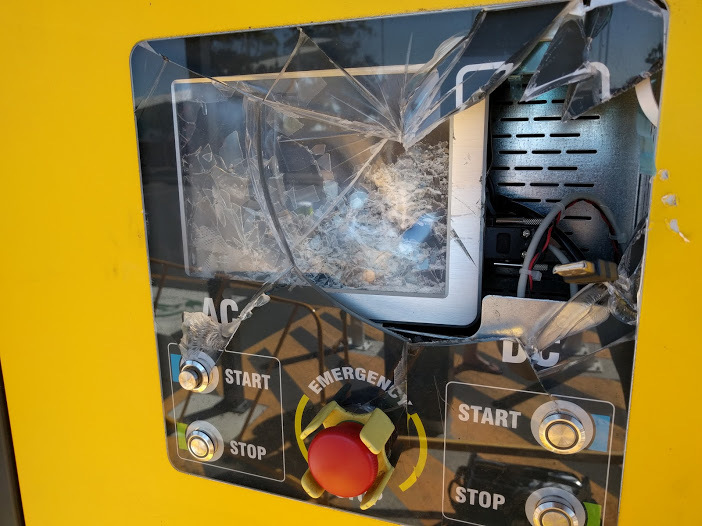 Edit: It seems possible that they weren't necessarily intent on damage, just a side effect of getting to that RFID reader. Last edited by coulomb on Mon, 07 Mar 2016, 16:03, edited 1 time in total. coulomb wrote: Huh. Surely they don't think they can read credit cards with it or something? Is there something of value (to "beautiful people") that can be had with spoofed RFID cards? Could be, or perhaps they were intent on damage and took the RFID reader as a souvenir. I have no idea. It's just a bog standard MIFARE compatible reader. You can use a recent mobile phone (with NFC support) to read these cards. Last edited by g4qber on Sat, 26 Mar 2016, 15:21, edited 1 time in total. Last edited by g4qber on Fri, 13 May 2016, 04:03, edited 1 time in total. Last edited by g4qber on Tue, 16 May 2017, 09:18, edited 1 time in total.